There's many miles of Route 66 to drive in New Mexico, including an old pre-1937 alignment that swings north through Santa Fe and south through Los Lunas. We just finished making a trip across half the state and will have pictures in a few weeks. 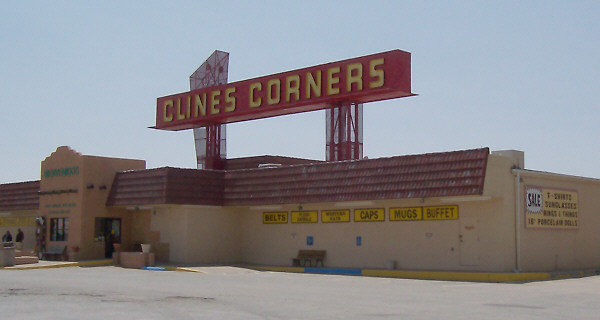 But to wet your interest, here's a old but still operating icon of Route 66, Clines Corner. And was it "Worth Waiting For", as the roadsigns say? Not with their gas priced at $3.99 a gallon.